Shaun Tomson "1997 Surf Champion"
Born in Durban, South Africa, Shaun turned surfing as a pastime into a long lasting competitive career that eventually saw him crowned ASP World Champion in 1977. 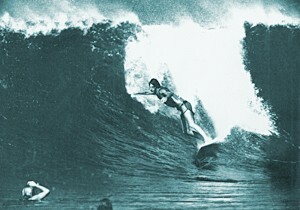 Considered one of the first consistent tube riders, his strongest surfing was on the face of the wave. Surfing's consummate statesman, he has served on the ASP executive board, been an advisor and is a media spokesman.